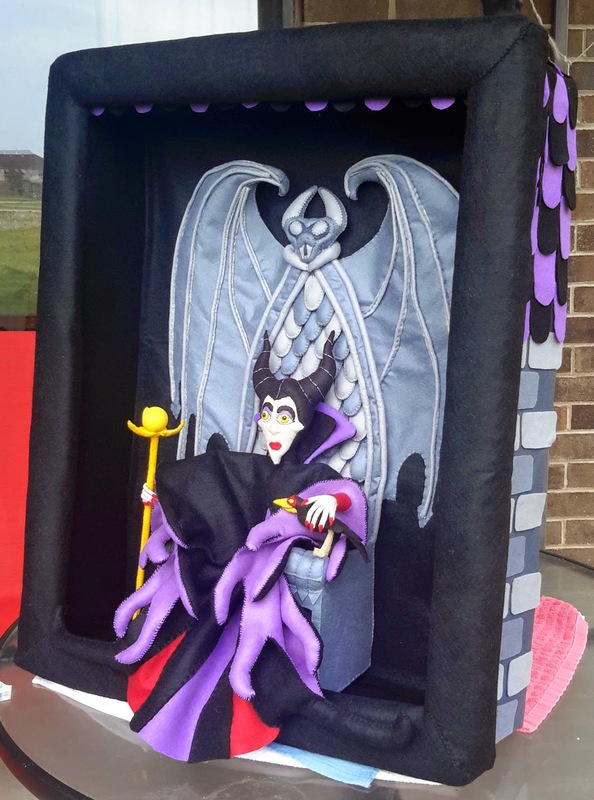 The Sassy Pack Rat: Maleficent is Finished! Because of time constraints I couldn't add the dragon element that I really wanted but I'm pretty happy with how the whole thing turned out. Here she is in all her glory. This piece is so large (30" x 25") that I had to take it out to the patio to take photos. The background was supposed to be more detailed but again time was a factor. 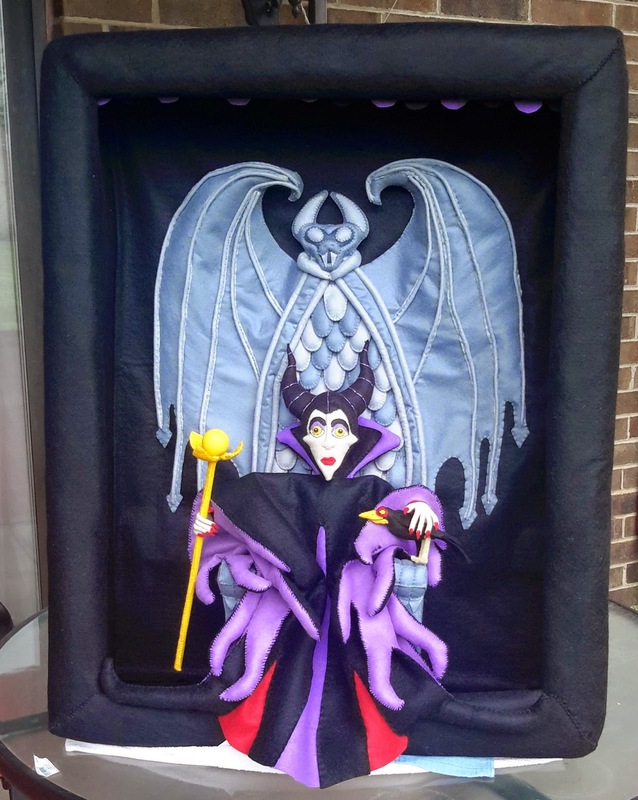 I did some simple details on the sides and the top of the shadowbox. 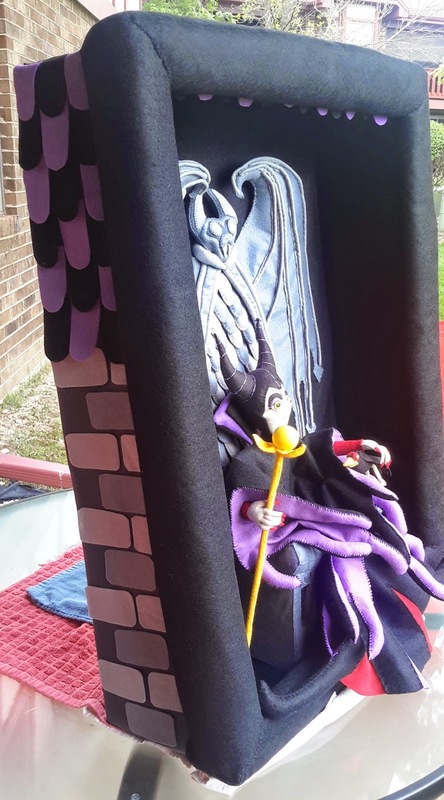 This entire piece was hand sewn from felt except for the crystal on her staff, that is a wooden ball I painted. 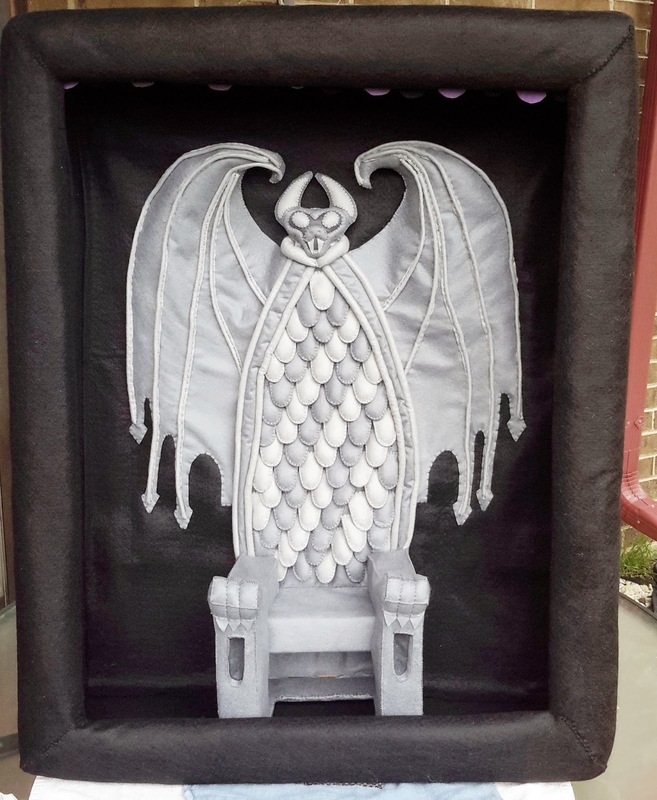 Here's the detail of the throne. 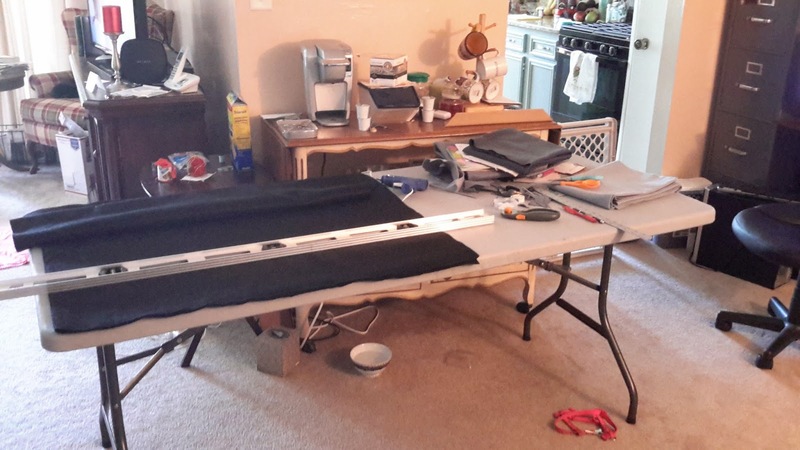 I ended up working on this folding table in the dining room cause I didn't have enough space in my really small studio. 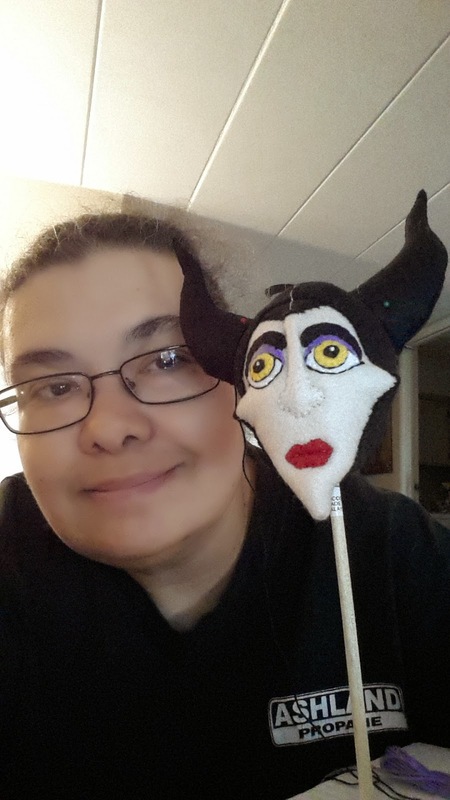 Selfie with Maleficent. I hope you all enjoyed seeing the progress and final of this piece. PART 1 of this project can be found here. PART 2 can be found here and PART 3 here. Join my newsletter HERE to get FREE access to my newest easy felt patterns! She's awesome! I really love how she tured out. Thank you so much Gunilla! She's incredible....and amazing...and wonderful, all rolled up in one fabulous creation.